Want to see the current unemployment rate for La Crosse plotted against previous observations? 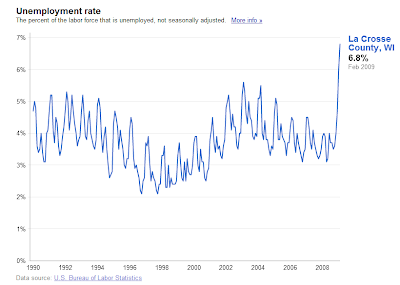 Simply type “unemployment rate la crosse” into google and the first hit will produce a google chart. Or hit the link here.